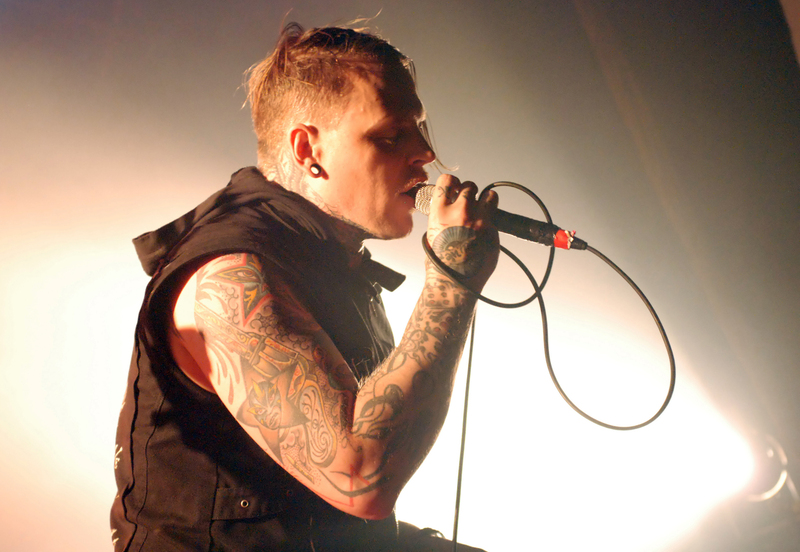 Combichrist are the current kings of industrial music. 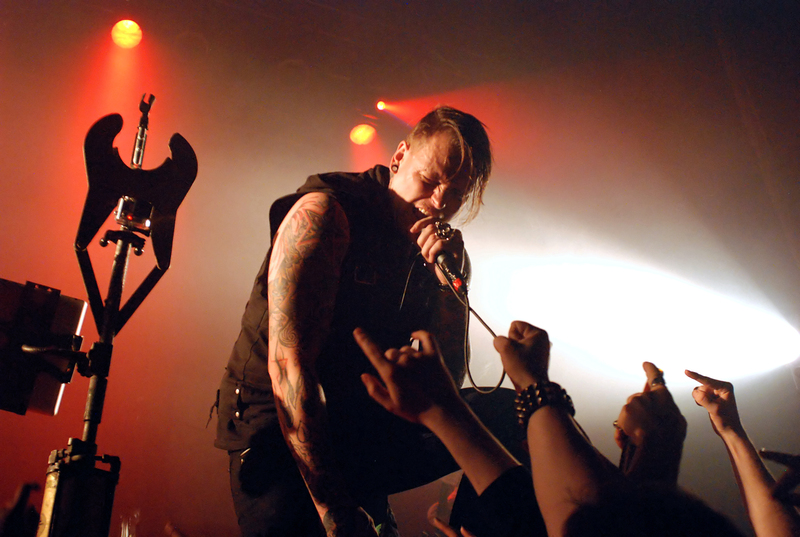 Led by Norwegian frontman and main creative force Andy LaPlegua, the band comes across as more musically conscious than snarky peers like Mindless Self Indulgence. While guitars sometimes make an appearance the band is more about hardening the beat on the dance floor. This way they’ve now taken up the mantle as a more modern version of Laibach and KMFDM. Chances are if you’ve seen a Rammstein concert in the past five years you’ve seen them open the show. While industrial music is often associated with leftist social and political views, LaPlegua (who resides in the US) tends to veer more towards sarcastic humour in his lyrics. While others in his perceived scene are singing about child soldiers, LaPlegua is often content espousing the virtues of having a good time with friends. Which is why I was a bit taken by surprise by the latest Combichrist release entitled “We Love You”, as it comes across as more politically confrontational than any album before it. The album is also perhaps their most musically diverse, at times incorporating pitch-shifting pop vocals and extreme metal guitar. This led some to speculate that LaPlegua’s recent stint composing music for the video game “DmC: Devil May Cry” had affected his writing. I got to sit down with a relaxed-yet-energized LaPlegua backstage before a recent performance at Toronto’s Opera House so I could tackle a few of these ideas. We also compared notes on our recent engagements, as photos of his marriage proposal had popped up on Facebook, an entity that Andy isn’t so keen on (so much so that he missed my attempt at a dirty joke). What I found was a gentleman who is hitting his stride just shy of his 40’s, standing at an intersection between musical styles and scenes. 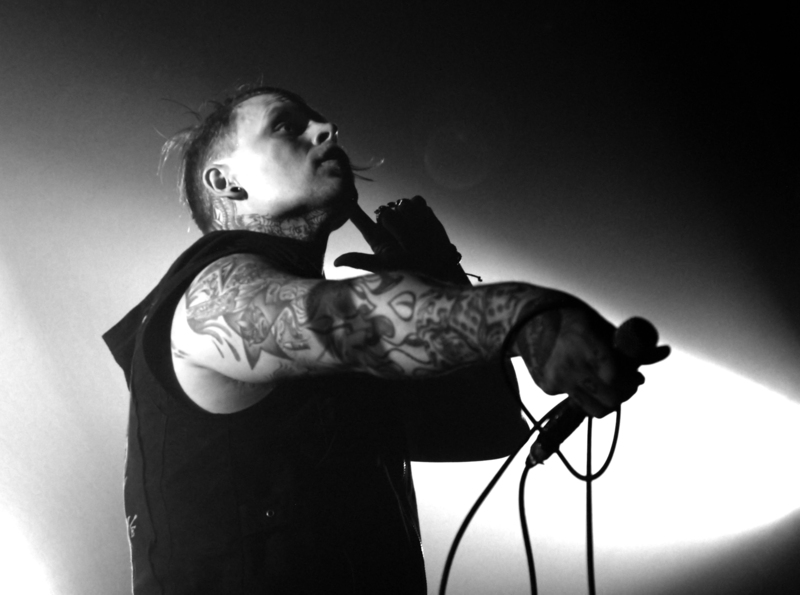 In our modern culture where the mainstream and the underground now seem to cyclically feed off each other, Combichrist and those who follow them fit in quite comfortably. The Norwegian band Shining (not to be confused with the Swedish band of the same name) has carved out a very unique spot in modern music. Originating as an acoustic jazz group the band has morphed into an amalgam of jazz, metal, punk, and rock ‘n’ roll. The band is led by singer/guitarist/saxophonist Jørgen Munkeby, whose childhood love of heavy music was reawakened years after disappearing deep into the worlds of jazz and classical. After our last interview I was keen to delve further into Munkeby’s story so I could get a bit of a clearer picture as to how a former skate-punk found himself in the seat of musical education, and how he eventually brought those two worlds together. March 25, 2014 - Andrew W.K. is a renaissance man of hard rock and heavy metal. Aside from making music with a pizza-shaped guitar and bashing the keyboard like Little Richard, he’s parlayed his positive party philosophy into a rather eclectic career that reaches far beyond music. Over a decade after his debut smash album “I Get Wet” and Andrew W.K. himself continues to be a bit of an enigma. Some say his ultra-positive public side is just an act, while others make the extreme claim that he doesn’t even exist at all. After an intense solo show in Toronto (and a brief discussion about Arnold Schwarzenegger), I got to explore the mystique that has risen around one of rock’s most prolific entertainers. What I found was an individual whose rock persona seems to share his body simultaneously with his real personality. He’s Jekyll and Hyde working in perfect harmony to create someone who can be your friend and your idol. So when it came to talking about the recently departed Dave Brockie aka Oderus Urungus of Gwar, Andrew W.K. became realer than I could have ever expected… whoever he might be. When folk-metal exploded into heavy music culture at the start of the 2000’s, the Faeroese band Týr found themselves wrapped up in this classification. The problem is that it’s technically correct. Folk music from Faeroes is completely vocal, so Týr’s original concept was to combine these songs with classic metal music. With this in mind the band created five albums of lush, progressive hard rock and metal, harmonized in multiple languages. While this approach won them many passionate fans, for their 2009 release “By The Light of The Northern Star”, the band tightened their style. Songs become shorter and more concise, and English was used far more frequently. While the ethic and mythological influences remained, their songs now had far more in common with traditional heavy metal than ever before. This change has been commercially beneficial for the band. Týr recently signed to Metal Blade records for the release of their latest album “Valkyrja”, which has already become the biggest release of their career. 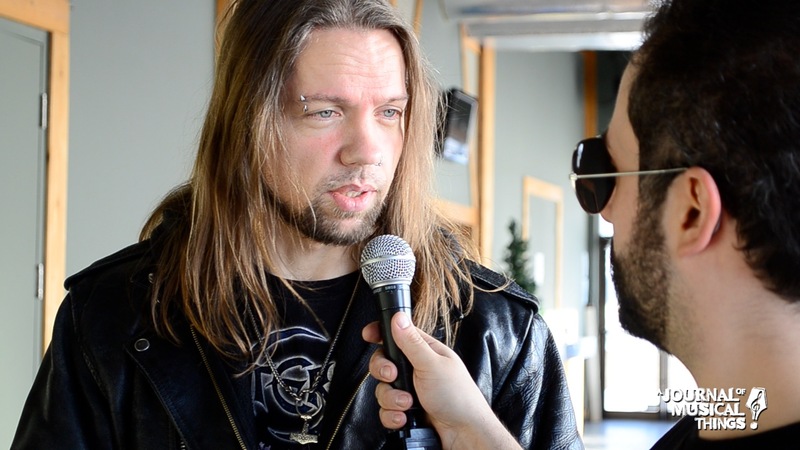 As they began a long North American tour with Children of Bodom, I had a chance to chat with frontman Heri Joensen and drummer Amon Djurhuus who speak candidly about the roots and development of the band, including the change from their early “obscure” sound.